Hello lovlies! Welcome to Gossamer Blue’s July Blog Hop! On the 15th of each month we hope to inspire you as you are working with the kits. I will share a project below and then will link up to the rest of the team so be sure to head to each DT blog to get a variety of ideas! 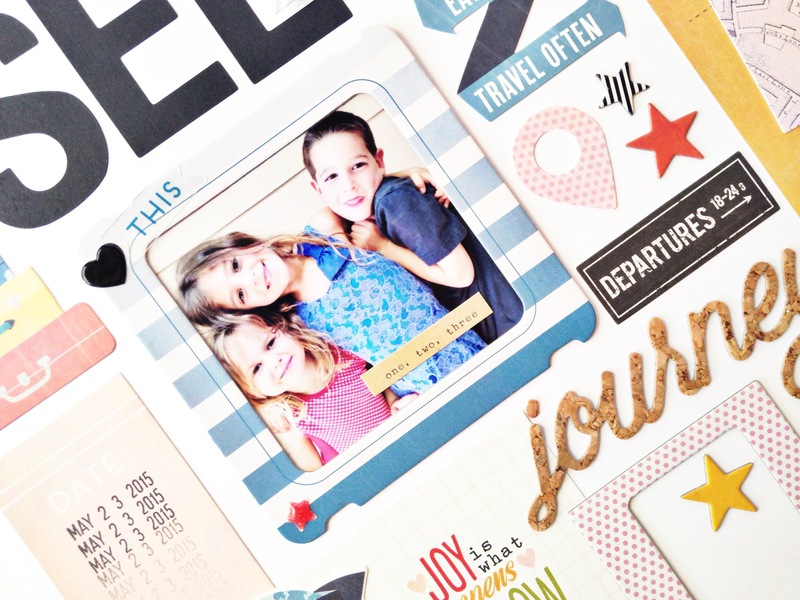 The July kits are PACKED with embellishments. Like, FULL. 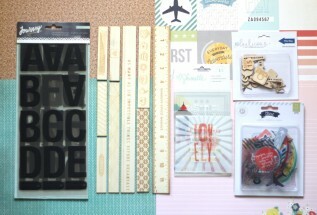 Ephemera, die cuts, flair, puffy stickers, chipboard stickers, cork words and big giant alphas! These kits do not disappoint! The sheer amount of embellishments I was left with after completing a few different projects inspired me to see how I could use them in a massive way. So I made a layout about my son’s friends whose family travels abroad for their church every summer. The kids spent the day together at our house before the girls left and I selected 1 photo as the starting point. Then I gathered pieces from all the kits that were pick or blue (that matched the photo) and added yellow as an accent color. The title went on after the photo and frame, and from there I just added pieces outward from the photo, like a puzzle. 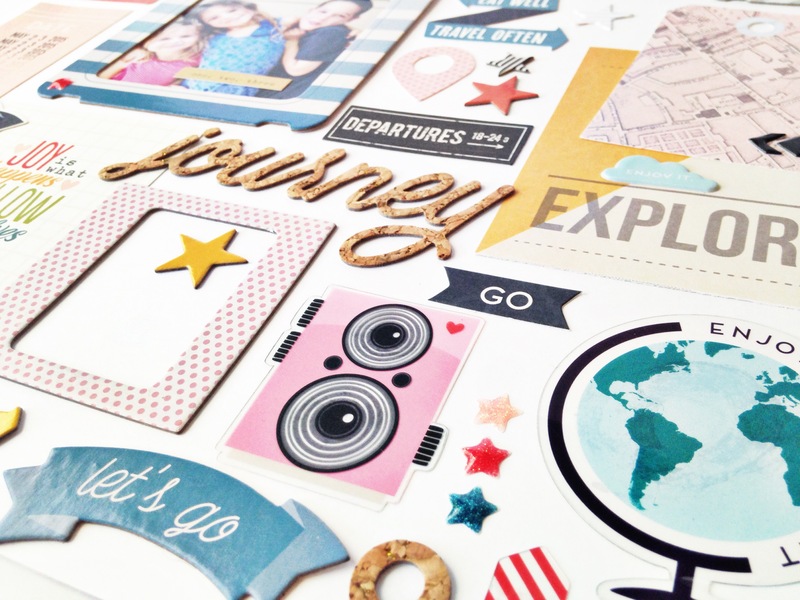 I give you full permission to go wild with your embellishments! Have fun! And don’t forget to check out what each of the other girls are up to today! Oh, and there are still a few kits available – click here to head to the store! LOVE this! “Stuff” filled layouts are my very favorite kind!! Great way to use up all of those awesome embellishments! what a fun page, filled with so much to see! Great way to showcase so much awesomeness at once! This LO is SO awesome!! I am absolutely loving all the little bits and pieces! I think I need to try something like this as well! thanks kathleen – it was SO much fun! i would love to see how yours turns out!